I love children. Yes, that may be an obvious statement when coming from a mother of eight, but I really do. It is amazing to see a little person start out as such a defenseless and dependent being into an amazing, independent person. While children grow up, you'll always want to be there for them and connected. That deep bond between a child and parents is something that is truly magical. When my children are babies, I baby them. Yes, some may say that they are spoiled- but they ask for so little. When they cry, I pick them up; when they want to be held, I hold them. I remember my first difficult baby. 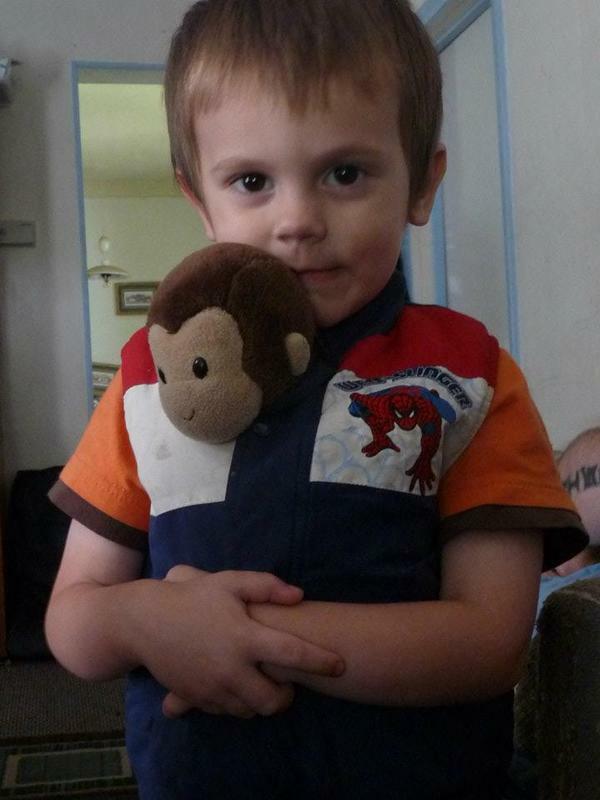 I had had a baby before that didn't like to sleep at night, but this child- he didn't want to be put down EVER. Being that this child was our fifth child- and I was at home alone... I had to tend to our other children. It was a difficult four months until I found out about babywearing. I remember searching online, pleading with other mothers.... "What can I do?!". One mom said, "wear him." Of course, I had no idea about babywearing at the time. I had seen carriers, but I thought they were for people who liked to hike and such. A mom in a large family group that I am in said to make a wrap. I am not so crafty- but I did manage to make a very crude wrap out of an old bed skirt (true story!). I searched online to find out the instructions of how to wear a wrap... and he loved it. He REALLY loved it. I loved it, too. He was close to me, safe and secure, and I had my hands free. I could do whatever was needed! At the end of the night I set out on Google to find the best baby wrap out there. After reading the reviews I decided on ordering the Sleepy Wrap (now called the Boba Wrap). I was so happy to receive it, and so was Nolyn. 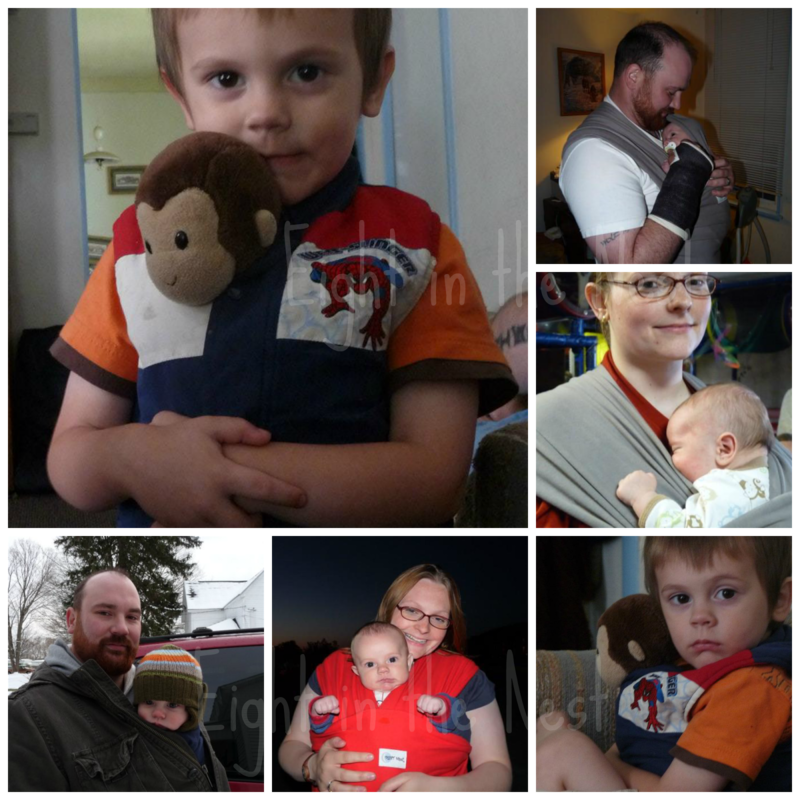 From then on, we've been a baby wearing family! I love that we are able to be close to the babies, and still take care of the rest of the children! Something that we didn't know until later...that baby we had that loved to be held, that baby that LOVED the wrap, well, he loved it so much that he actually started to carry his favorite stuffed animals close to him. This made me realize how special and important that time was. He needed us, he wanted to be carried and to stay close, and we helped him feel loved and secure- and he showed us that by imitating us when playing with his favorite toys. 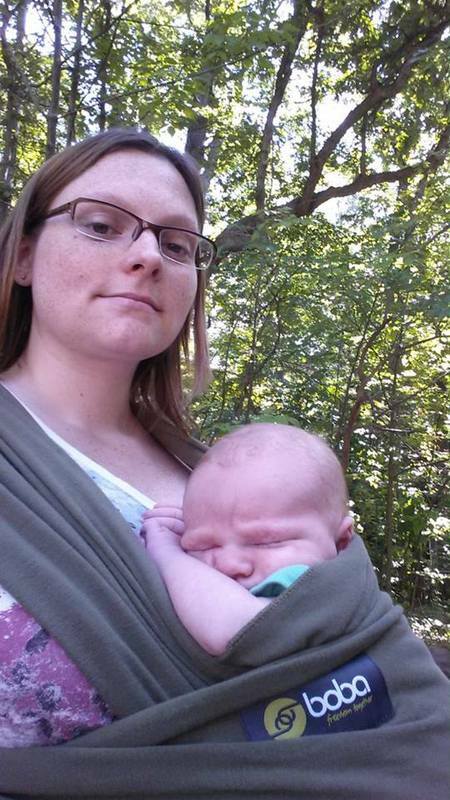 We've been baby wearing since Nolyn- and I love the freedom that it gives us. We can do pretty much anything, our hands are free and we don't have the restriction of a stroller. We recently went to the zoo... and I wore Orrin. I couldn't imagine having to push a stroller for him (not to mention the fact that not every place in the zoo is stroller friendly, so we would have missed out on those experiences). Whether it's around the house, or out and about, we get to keep our babies close and secure and enjoy the freedom of being able to still be hands free.